Kenya has been ranked as one the seven top investment destinations to watch in emerging markets by Fortune magazine. The ranking takes note of the massive efforts being made in infrastructure development, the power sector and the improving macro-economic stability. Kenya has embarked on an ambitious programme to address challenges on the ease of doing business and has set up a delivery team to make the country a world class investment destination. The Ministry of Industrialization & Enterprise Development is leading the Business Climate Reform agenda and is working with various government agencies. 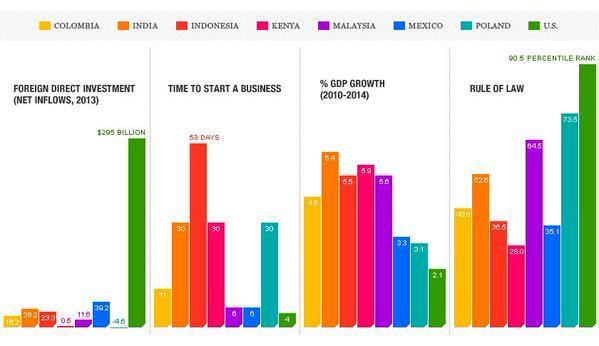 Kenya made the cut to the special list of 7 that has India, Malaysia, Indonesia, Mexico, Poland and Colombia.